Anyone who does not take his cross is not worthy of me. Anyone who welcomes you welcomes me. 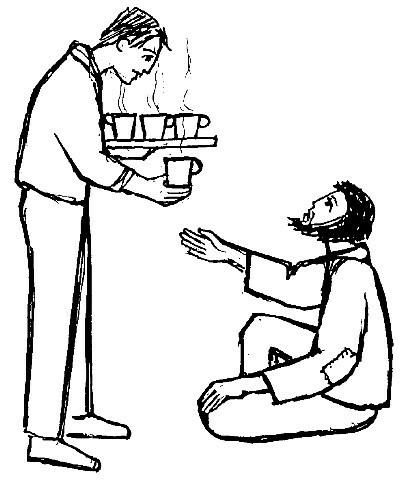 The Gospel and First Reading this Sunday can be summed up in one word: hospitality. But not hospitality in general - this is a very specific hospitality: welcoming the word of God. We must welcome the message of salvation into our homes and hearts, and show this by welcoming the messenger who brings us this good news. Perhaps when we consider the messages we allow into our homes nowadays this theme reveals its relevance to us: television, radio and newspapers are all welcome in our homes. Surely the Gospel tells us to keep our eyes peeled for the holy man who brings real news. This Gospel also tells us about our mission: if we are welcomed or rejected, we should neither be proud nor worry for ourselves, but for Christ, because it is Christ who is welcomed or rejected. First <?xml:namespace prefix = st1 ns = "urn:schemas-microsoft-com:office:smarttags" />Reading: 2 Kings 4:8-11.14-16. The first thing to remember is that this is a very simple story about a kindly act: it does not have to be any more complicated than that! (Dont let the names put you off: Elisha, Shunem and Gehazi are pronounced as written - the i in Elisha is pronounced as eye not as ee.) 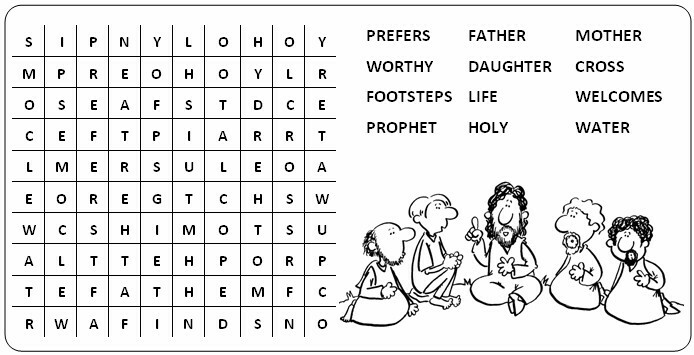 Tell the story as straightforwardly as you can (without rushing), perhaps emphasising the words holy man. When you get to the second paragraph, be careful to make sure that people understand who is speaking by changing your tone slightly and pausing. Try and carry the idea of decision when Elisha says Call her: he has made up his mind what to do for the woman and is about to give her a great gift. This is one of the greatest passages in this letter: in two simple paragraphs Paul explains the mystery of Baptism: it is our way of entering into the salvation which Jesus has won for us by his death and resurrection. Paul also explains what salvation is: it is an eternal life free without sin. Remember that the last time we heard this was as the New Testament reading at the Easter Vigil - its position there underlines the importance of this reading. Be careful to pause in the right places, especially in the slightly awkward last sentence (watch your commas!) This letter is a good example of the way in which the Word of God proclaimed today is addressed to todays congregation: the we and you refer to the congregation gathered in church this morning/evening. Read with this conviction and it will bring the reading to life, not just for you the reader, but for the whole assembly.